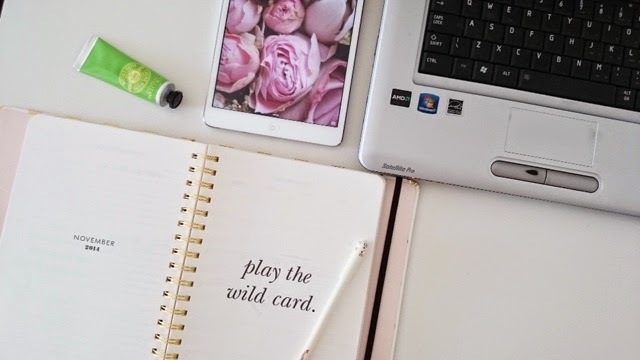 I don't know about you but a lot of bloggers seem to have what you all call "writers block" where the mind suddenly goes blank and you have no idea what to post about. I have come across a number of blog posts with a long list of ideas / suggestions on what to write about and I thought it would be great to do one of my own. Instead of just listing a long list of topics I thought it would be great to put together my top 10 topics I like to read about. This means if ever these topics pop up on my news feed I would ALWAYS click on them. I am a food addict so I love seeing photos of your dinner, meals out, recipe ideas, baking and generally anything food related. Restaurant recommendations is another one of my favourite. I am real nosey and I love seeing photos of your holidays, days out, weekend shopping trips and so on. It's a little bit like taking your readers with you and showing snippets of your life! on "what makes me click the follow button" and "newbie blog tools - my current essential items". I am forever creating wishlists and they seem to be popular on my page. Wishlists for beauty, fashion, home, holidays anything you can think of. So this is any blogger events you have been invited to, PR events, product launches etc... Again these are like taking your readers with you and they get excited to hear about new items being launched. If you have a dog, cat or any other cute looking pet introduce them in your posts and see how your readers react. If they show interest you can make is a regular feature. For example for me I have a Shih Tzu dog so I could write about how to care for my dog, training tips etc... This shows more of an insight to your life and I find readers love that! Often if my dog Tula pops up in photos you guys always tell me she`s cute! In fact she`s even got her own Instagram account with more followers than me!!!! This is a simple one just showing what things you have been loving the past month, it really doesn't get easier than that! Again this could be anything from food, clothing, shoes, make up, book...anything! For me personally I have a big interest in skin care from creams, serums, face wash etc... So if something new comes out I love reading about it. I think in general readers love product reviews and this includes the popular make up reviews. Thanks Amy. The blogging tips seem to be super popular with everyone and almost my most read posts of all time! I'm a sucker for a pet post! I just posted a healthy brunch and smoothie recipe, would love for you to have a read! Ah I will have a pet post coming soon Zoe! Will stop by in a sec once I've replied to all my comments! I always click on home posts too, I loving getting inspiration! I have plenty more home posts coming in the new year! Waiting for the xmas / new year sales so I am not buying nothing right now! I am also a huge fan of Monthly Favourites and skincare! As I love reading them, I tend to post them too on my blog! Love your header, it's super cute! Thank you - the designers details are at the bottom of my blog if you are interested in getting some work done on your own blog. I love posts which double as blogging tips - sometimes I worry my content it's 'clickable'! I love food posts too and always click on monthly favourites because I'm nosey and need inspiration! Yes, everyone loves a good nose around other peoples homes! Thanks for stopping by Rachel. Great post! I have a similar taste to you in what I like to read - I also love to see what books other people are currently loving/hating too! But home décor posts are probably one of my favourites. I love reading little post like this that help others out. I seem to get writers block a lot lately and never know if what I am about to write is what people would want to read. Thanks for stopping by Kelly. I really hope this has helped! Thanks for stopping by Abby, will have a read of yours now! What a great angle of the post! It is true, I also click much more often on certain categories of posts. I need to spend some time and figure out which posts are more click-worthy for me though... Thanks for a great post! Thanks Katya. I think every blog pulls in diff readers and I think I have just about worked out what mine enjoy reading! Thank you so much for the tips. I get thaatt blogger blocks too sometimes.. But you're right, looking at the things we already have and share them with others is a great one. Thanks for sharing your inspiration ideas! I have a few more fab posts coming in the new year to share with you all! I for sure get "writers block" sometimes. Thankfully it's gotten better over the past few months. I absolutely agree with all of these. I really love looking at home and food posts as well! Great post! Sometimes I even have few ideas and when I need to write I forget everything. From then always when I come up with a new idea I write it in my organization notebook which is also great to have. I got writers block quote a lot before the new year but with a schedule and a few more ideas I reckon that I'll be right on track! This was a very useful post as I am now considering putting hauls on my blog! I love reading helpful posts like blog advice and sources! I also really love book reviews! I rarely buy a book without reading a review! I have this too sometimes! What I definitely do seem to struggle on is getting starting - I mean how to start writing my blog. I don't know about you, but I do find this difficult sometimes! More often than not, I like browsing the craft, interiors and fashion blogs the most for ideas and looking at writing styles, as well as how they start their posts.